It’s a COLOSSUS OF ROADS for Christina Uss! Margaret Ferguson at Holiday House has acquired THE ADVENTURES OF A GIRL CALLED BICYCLE author Christina Uss's new middle-grade, COLOSSUS OF ROADS. The story follows an eleven-year-old boy with an eye for patterns who finds an unexpected way to make a difference when his city is caught in a crisis. Ammi-Joan Paquette at Erin Murphy Literary Agency did the deal for World rights. The book is planned for spring 2019. I'm so thrilled for this amazing new deal, and I can't wait till you can all meet Christina's amazing characters. Huge congrats, Christina! It seems like we're all doing our best to get back to basics these days. Reconnecting with the physical space around us, remembering to be grateful. And what could be more inspiring than a lyrical picture book from Liz Garton Scanlon expressing gratitude for gardens and growing things? Liz will once again be joining the dynamite team at Beach Lane, Andrea Welch and Allyn Johnston, to bring this picture book into the world—and they've once again found a stellar illustrator. This time it's Simone Shin (repped by Kelly Sonnack of Andrea Brown). I can't wait to see this one come together! It will hit shelves in spring 2020. Kat Shepherd will see her debut published next summer—and it's the first four planned books (so far) in a middle-grade mystery series called Babysitting Nightmares. I can't think of another debut author, at least at EMLA, who launched with a four book deal! Not one to do anything halfway, Kat has now signed on to a SECOND middle-grade mystery series, this time with a two-book deal! That means she'll have SIX books out in no time flat. Look out world, here comes Kat Shepherd! Her newest series, the Gemini Mysteries, will be published by the Yellow Jacket division of Bonnier (better known for its younger division, Little Bee), starting in spring 2019. It will be illustrated and interactive, with clues in the artwork. The first book is THE NORTH STAR, in which a diverse group of kids work through motives, suspects, and scenarios for the disappearance of a priceless diamond necklace. I'm so looking forward to watching this come together! HOW LONG IS FIVE MINUTES? Liz Garton Scanlon and Audrey Vernick, the dynamite team that brought you BOB, NOT BOB and the forthcoming DEAR SUBSTITUTE, have done it again! They have once again tapped into the universal by contemplating the passage of time. FIVE MINUTES IS A LOT OF TIME (NO IT'S NOT) (YES IT IS) asks readers to consider: How long, really, is five minutes? If you're waiting for the library to open? FOREVER. If you're reading a book under the covers? NOT LONG ENOUGH! If you're waiting for your birthday party to start? ARGH! Once again they've been matched with a fabulous illustrator. 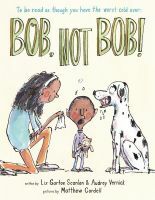 BOB had Matthew Cordell; SUBSTITUTE has Chris Raschka; FIVE MINUTES has Olivier Tallec (repped by Kirsten Hall of Catbird Productions)—and it also has Stephanie Pitts of Putnam editing, after she bought the text and one other untitled picture book—at auction! Huge congratulations, Audrey and Liz! Crossing Deserts and Mountains with Tara Dairman! Tara Dairman is widely known as the beloved author of the middle-grade foodie series beginning with ALL FOUR STARS, as well as her most recent quirky mystery, THE GREAT HIBERNATION. But today I'm delighted to announce Tara's foray into something new and different—picture books! ALL FOUR STARS and THE GREAT HIBERNATION author Tara Dairman's debut picture book, DESERT GIRL, MONSOON BOY, about a boy and girl who flee opposite environments in India and meet in a safe, welcoming place, with illustrations by Archana Sreenivasan, to Susan Kochan at Putnam, by Ammi-Joan Paquette at Erin Murphy Literary Agency for the author and Stephanie Fretwell-Hill at Red Fox Literary for the illustrator (World). The story has its origin in Tara's own travels to remote parts of the world, and is a celebration of place and tradition and coming together despite obstacles. I for one cannot wait to see it in finished form. NEW HEPLER NOVEL TO BLINK! There is nothing quite like curling up with a Heather Hepler novel. Her books are always populated by groups of family members and friends you wish you could hang out with all the time. While most of her works (THE CUPCAKE QUEEN, FROSTED KISSES, etc.) could be classified as romantic comedies, her newest is a little bit darker and meant for YA readers instead of tweens. WE WERE BEAUTIFUL isn't missing Heather's trademark humor, but the teen at the center of it is much more wounded—literally and figuratively—than in her more recent books. Mia bears facial scars that are a constant reminder of the car crash that killed her sister—and she's been uprooted from her quiet country life to spend a summer in New York City with a cold and distant grandmother she barely knows. At a nearby diner (of COURSE you know there will be great food in every Heather Hepler novel! ), she finds a job and a boisterous, loving extended family that wraps her in its arms. She gets to know the city through a group of fellow teens with artistic leanings, and rediscovers her sense of self in the process. Jillian Manning at Blink has just snapped this one up, and we don't have to wait TOO long to see it on shelves: It's set for spring 2019!